The resources of mobile application in the app stores contains a vast amount of code and knowledge, which is of great significance to intelligent program search technology, but how to organize and utilize these multi-source heterogeneous data efficiently and integrate semantic information is still a key problem. 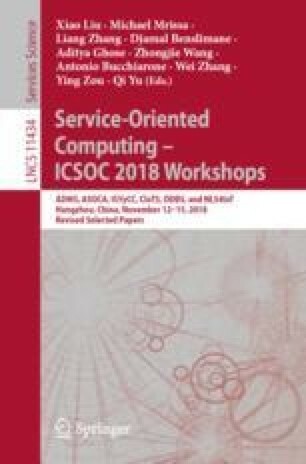 In this paper, WordNet based AppNet, a multi-layer heterogeneous complex app network model was proposed, it completely describes the hierarchical structure between app-related tags, attributes, and code and in which aims to explore its application in the intelligent program search. Firstly, we expound the construction mechanism of AppNet and describe how does it realize mapping with WordNet, and then two simple real application scenarios were conducted based on AppNet in which to verify its validity and feasibility. We believe that the proposed AppNet model will provide researchers with more efficient ideas in the field of intelligent software development and search. This work is supported by the National Natural Science Foundation of China grant No.61572350 and the National Key R&D Program of China grant No.2017YFB1401201.